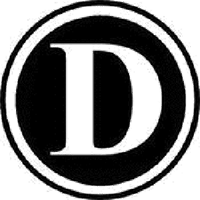 Debitcoin can often be seen written as "DBTC" and works separately from a reserve bank or single administration. The decentralized cryptocoin uses the proof of work (pow) consensus and it is mineable, using the Scrypt algorithm. To stay updated with Debitcoin, they can be found on Reddit. We don't have any cloud miners listed for Debitcoin yet, check back soon! We don't have any exchanges listed for Debitcoin yet, check back soon! We don't have any wallets listed for Debitcoin yet, check back soon! We don't have any debit cards listed for Debitcoin (DBTC) yet, check back soon! We don't have any price charts listed for Debitcoin yet, check back soon!